You’ve probably heard some crazy things about Scientology. Well, the truth is even crazier. Pulitzer prize winning author Lawrence Wright (The Looming Tower) has written an amazing expose of what is basically a legalized cult in America. Wright takes pains to be very even-handed, acknowledging that it is only human to search for something to believe in. 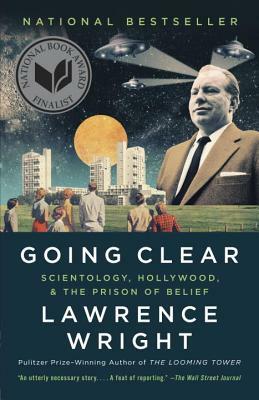 Wright’s painstaking research into the history and practices of Scientology uncovers a world that is not pretty, but you won’t want to put Going Clear down! - Sarah B.